Good morning! After taking a week off from blogging, I'm hoping to be back on track with daily posts. I've got plenty to share with you, it's not that I haven't been creating, I just haven't had much time for editing photos and posting. Today and the next couple days, I thought I'd share a few of the beautiful handmade Christmas cards that I've received so far. This first card was from my friend Tammy Boutin. 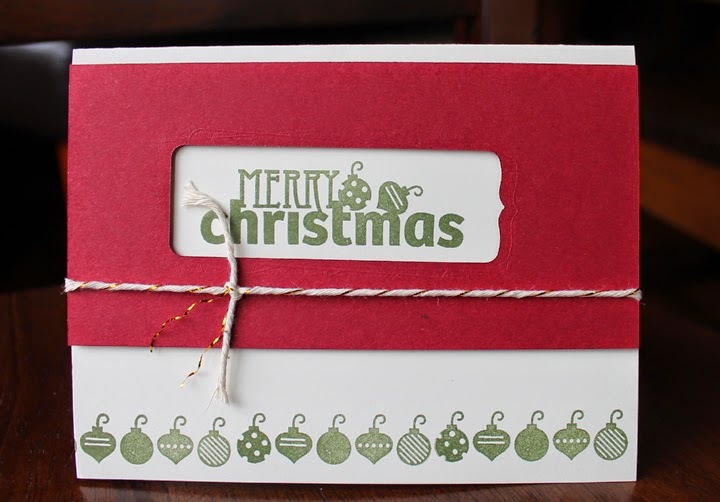 I love the use of the All is Calm washi tape. So pretty! This next card was from another friend Carla Woelinga. 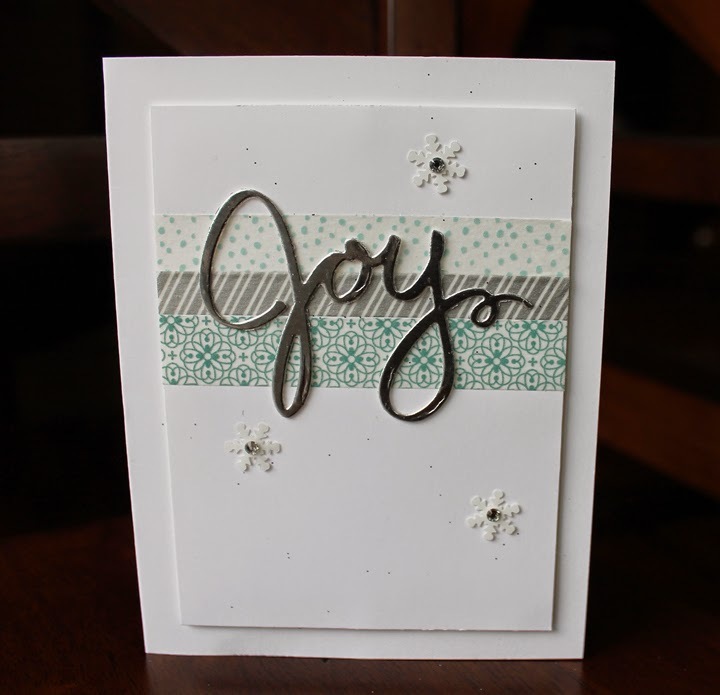 She used the Christmas Bliss photopolymer stamp set. Love the simplicity. So cute! Thanks so much for stopping by today! I'll be back to share more tomorrow.